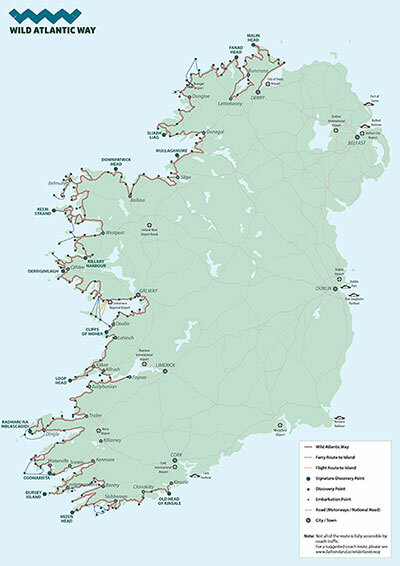 The Wild Atlantic Way stretches for 2,500km along Ireland’s western seaboard. 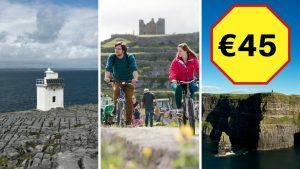 From Donegal in the north to Cork in the south, through regions like Connemara, the Burren, Galway Bay and Kerry, the route is the world’s longest defined coastal drive. 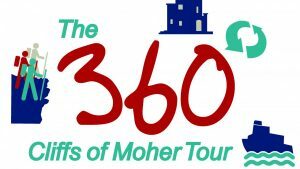 Take your time, enjoy the experience! 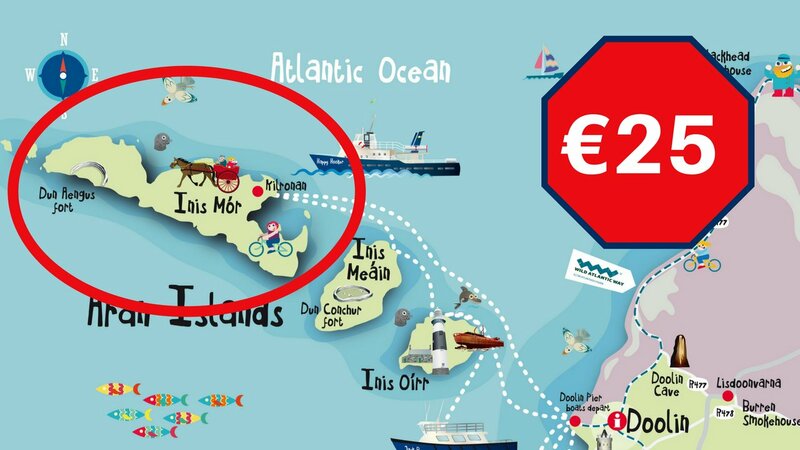 You could attempt to drive the whole route in one go, but why hurry? 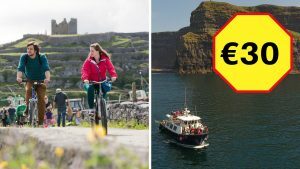 The best way to see the Wild Atlantic Way is to slow down and dive in deep – it’s in the hidden treasures along the ocean’s edge and the warmth of the people you meet along the way that you will find the Ireland you have always imagined. 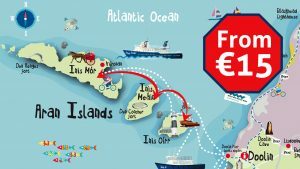 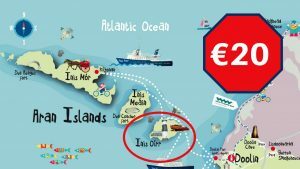 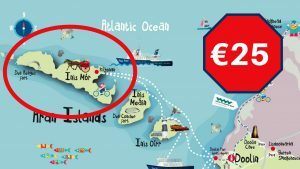 To help you navigate the route and make the most of your time, there are over 150 defined “Wild-Atlantic-Way-Discovery-Points“. 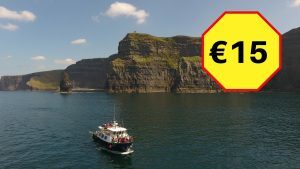 Of these, there are 15 Signature Discovery Points, two of them are in County Clare, and one is right here in Doolin, where you can take a cruise below the Cliffs of Moher, and a ferry to the Aran Islands!